Up until a few months ago, I had never considered working out of a coffee shop rather than my home office. Sure, I’ve met clients and done story interviews at Starbucks, but it never occurred to me to set up shop there. Then someone wrote a post on a Facebook group of Seattle freelancers that I belong to. In the thread, the group discussed the best Seattle coffee shops and, of course, I had to ask – isn’t it hard to work in a crowded, noisy, people-infested environment? They assured me that it was the best thing ever, and it was easy to tune out the world when needed. I respected that it worked for them, but the idea still didn’t appeal to me. Interestingly, my doctor suggested the same idea to me a year ago to improve my mood; I ignored him too. But last week, I could feel myself getting in a rut. I knew I needed to change things up, so I gave it a shot. To my surprise, I loved it. After dropping off my daughter at school, I went to a nearby Panera, got my favorite bagel, and set up my laptop. I was sure the Wi-Fi would be “wicked slow” and the people nearby would annoy me. I was wrong on both counts. The three hours I spent at Panera that morning were three of the most productive hours I’d had all week. I easily tuned out the activity of the restaurant (think white noise), the Wi-Fi was lightning fast, and I was focused and excited about the change of pace. No barking dogs, dirty dishes or laundry to distract me. I also had to plan ahead to be sure I had the files and data I needed with me or that I could access them from SkyDrive. This exercise added another level of efficiency to the experience – forethought and planning, no more flying by the seat of my pants to get through my morning. I’ve decided to make this remote workspace a regular habit. I won’t go every day, but I’ll go a few mornings a week. This gets me out of the house, providing a change of scenery and fueling my creativity. It also forces me to make myself presentable to the world – you know, clothes, shoes, make-up, etc. – when sometimes I’d rather just wear pajamas and go barefoot all day. My freelance friends figured this out long before I did, so maybe I’m the last to know that working away from home is productive and even desirable. But if I’m not, I encourage you to try it. BONUS TIP: And if you go to Panera, try the cinnamon crunch bagel! It’s a nice carbohydrate-fueled, sugar-laden kick start to your day. 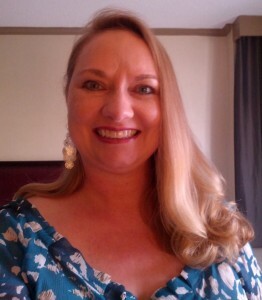 Based in the Seattle area, Dana E. Neuts is a freelance writer and editor and the publisher of iLoveKent.net, an award-winning community website about Kent, Washington. Her work has appeared in The Seattle Times, 425 and South Sound magazines, Seattle Business, American Profile, AARP Bulletin and more. She is SPJ’s president-elect, membership chair and a member of the freelance committee. You can learn more about her at VirtuallyYourz.com or email her directly at spjdana@gmail.com. This entry was posted by Dana E. Neuts on Tuesday, September 17th, 2013 at 2:42 pm	and is filed under Advice. You can follow any responses to this entry through the RSS 2.0 feed. You can leave a response, or trackback from your own site.